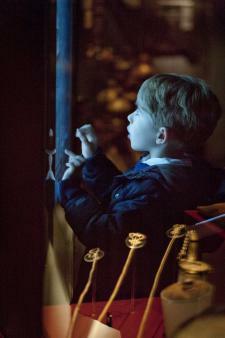 Travel back in time to Henry VIII's navy and its flagship, the Mary Rose. Recovered from the sea after nearly five hundred years, the ship is presented to visitors in a new, state-of-the-art museum that's highly recommended for families. 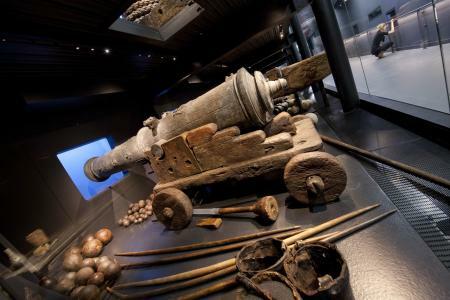 The multi-award-winning Mary Rose Museum is described by Dr David Starkey as “England’s Pompeii” and offers families the chance to see thousands of amazing Tudor artefacts rescued from Henry VIII's ship, which sank in 1545, alongside the ship’s hull. Elena Dalrymple visited with Kate, 10, Tom, 8, and Emily, 4. From shoes to tiny, tiny dice to a surgeon's syringe and bows and arrows, the Tudor objects recovered from the seabed almost five hundred years after the Mary Rose sank are all ordinary, everyday objects – but seeing them is an extraordinary experience which really brings the past to life. My four-year-old was mesmerised by the large-scale wonders on display – the ship hull, of course (especially travelling in the glass lift up one side of the building, which allows you to really appreciate how enormous it is! ), but also the huge interactive image of the Cowdray engraving of the Battle of the Solent which sank the Mary Rose in 1545. 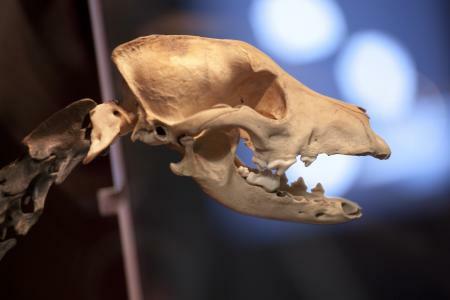 Also fun for little ones are the references to Hatch, the name given to the ship dog whose skeleton was found in the wreck of the Mary Rose. There's plenty of Hatch memorabilia on sale in the shop, but you can also pick up a free copy of Hatch's Museum Trail at the entrance. There are lots of opportunities to get hands-on in the museum. Don't miss the chance to touch objects, smell the tar on the ship's rope (still pungent 500 yeas later! ), try your hand at some longbow archery, do some brass rubbing and play a computer game to salvage objects from the Mary Rose wreckage. 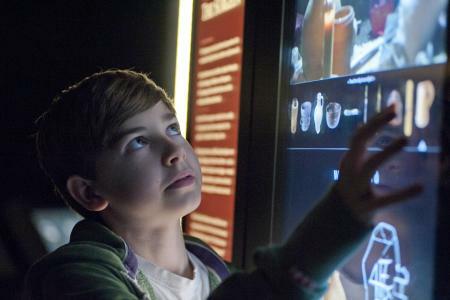 As you explore different parts of the ship there are also opportunities to interact with the information. There was quite a queue of kids waiting to have a go at "feeding" the Mary Rose's crew their daily rations in a brief game! Learning about the men of the Main Deck, Upper Deck and Lower Deck through computer simulations of their life onboard ship. Seeing the objects on display brought to life by actors using them, in context, makes Tudor times really come to life, especially when you see the enormous cauldron used to cook broth for 500 men, and the pole-like spoon used to stir it! There's an enormous amount to see as you walk around the Mary Rose, so allow at least two hours to visit to take it all in. Portsmouth Historic Dockyard, where the Mary Rose is located, offers an incredible amount to see and do, from the Explosion Museum of Naval Firepower (take a free waterbus to reach it) to HMS Victory (Nelson's ship at Trafalgar) and HMS Alliance (a WWII-era submarine). 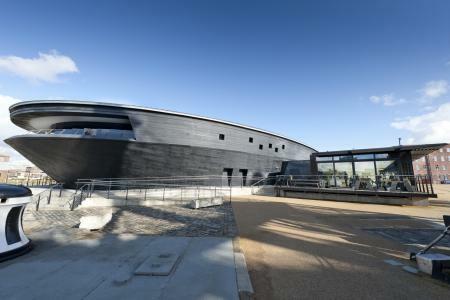 You will need a separate ticket to access the 11 attractions in the Dockyard as the Mary Rose Museum is no longer part of the group. For children, Action Stations is unmissable and packed with interactive adventures. Climb one of Britain's tallest indoor climbing towers (remember to wear trainers! ), pilot a helicopter in a simulation and get a taste for life in the Royal Navy and Royal Marines by trying out some of their equipment. New and fantastic for toddlers and preschoolers, Sky Tykes is a rope course designed specifically for children aged 2-7 years. There are Tudor-themed events and workshops during school holidays – check what's happening and expect make-offs (craft activities), the chance to take part in a Tudor gun drill using a full-size replica cannon and traditional Tudor games. The Mary Rose Museum Cafe serves drinks, cakes and light lunch options. Also in Portsmouth Historic Dockyard are a coffee shop, a tearoom and a restaurant, as well as a number of open spaces where you can picnic (we recommend the Porter's Garden and Picnic Area for some down-time away from maritime madness!). The Mary Rose is located in Portsmouth Historic Dockyard, and prior to your visit to the museum you will need to pass through the Mary Rose ticket office at the main dockyard gates. Portsmouth Historic Dockyard is located within Portsmouth Naval Base with entry through Victory Gate at the corner of Queen Street and the Hard. Tickets are £16 for adults and £8 for children for a 12-month ticket, with various family savings offered, but check for online savings when you purchase your ticket in advance. From Mary Rose wooden models (£8.99) to Mary Rose Monopoly, there's lots on offer – we loved Hatch's Tour of the Mary Rose (sticker book, £4.99) and Henry VIII and the Mary Rose (colourful children's information book, £5.99). Brilliant (and free) learning resources are available if Portsmouth is too far for you to visit in person. Meet the Crew is an interactive resource which explains the ship's history and offers information about some of the men who sailed on her (the pilot, the cook, the carpenter, the barber-surgeon, the soldiers and gunners).